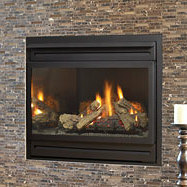 We are Brisbane's specialist one stop shop for Gas Fireplace's. We can co-ordinate all trades required to go from a blank wall through to the finished product. If you're a fan of the elegant, minimalist look then you'll love our range of real flame gas fireplaces! With an inbuilt or freestanding gas fireplace, you'll never be cold again - simply flick a switch and enjoy the instant beauty and warmth in the comfort of your own living room. 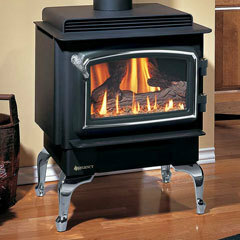 We sell only the Regency brand of gas fireplaces - a Canadian manufacturer that meets our high standards for quality. 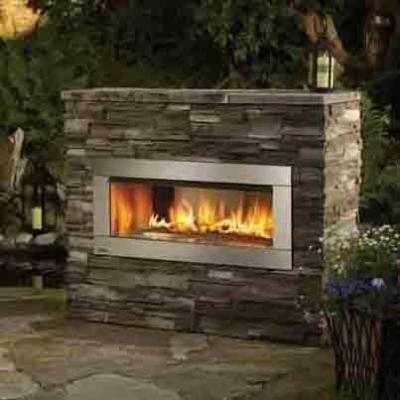 To find out about which type of gas fireplace is best for you, simply give our friendly team a call today on (07) 3375 1464. Alternatively, if you're based in or around Brisbane, pop along to our Brisbane showroom for a demonstration of the different models available. Gas Heaters are a great addition to any home. They are easy to start and create instant ambiance. Our range of Regency Gas Heaters provide everything from a modern contemporary look through to classical design. Speak to our staff about your gas heater needs. We can advise on the classical mantle gas heater design through to the sleekness of a landscape gas heater with a TV above. We also have a range of outdoor gas heaters and fire tables. These are perfect for the Queensland deck lifestyle and offer not only a functional alternative to a fire pit but decent heat as well! Unlike flame gas heaters, the outdoor gas heater tables allow for continual entertainment all year round.